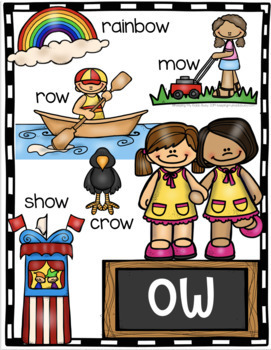 This all in one unit has everything you need to teach your kindergarten - first grade and/or second grade students about vowel teams. We call them the teamwork words! 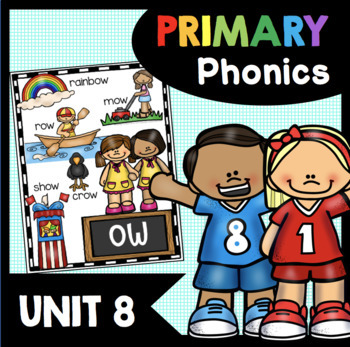 This download comes complete with literacy centers, worksheets, no prep activities and adorable posters - over 160 pages you can print and use with your students! 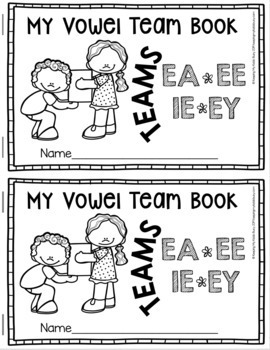 This is the perfect all-in-one bundle that works well for introducing vowel teams to kindergarten students, or reinforcing and practicing vowel teams for first grade and second grade students. Your students will love these hands-on activities, and you'll love that everything is organized and ready to use! This is the eighth unit in my kindergarten phonics instruction. Unit 7 Long Vowel CVCe Words "SUPER E"
Possibly more to be added! This listing is only for UNIT 8 VOWEL TEAMS only. Self correcting and comes with a coordinating recording sheet for accountability. Five adorable stories with comprehension checks that come in both color and BW. Students read the sentences and fill in the correct word using the long vowel word bank. 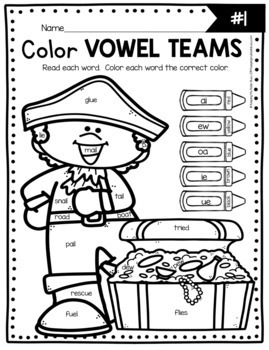 Watch your students grow confident and fluent with their vowel team words. These activities are low prep for you and will keep them engaged and having fun practicing their phonics skills! Follow me for FREEBIES, ideas, sales and more!